Welcome! 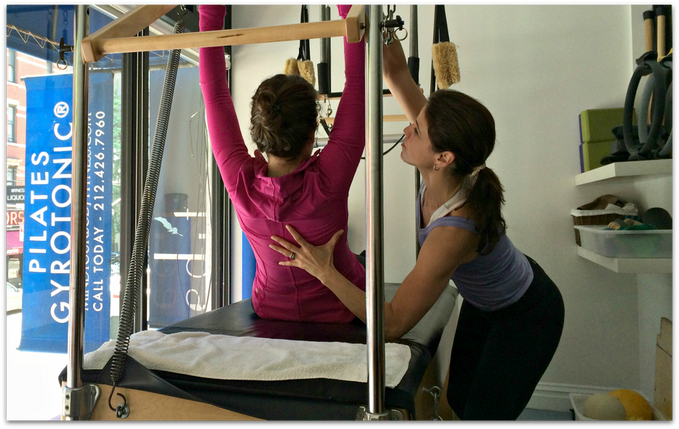 Mind Your Body is a Pilates and GYROTONIC® studio on the upper east side of NYC, dedicated to teaching clients a ﻿mind﻿ful method of movement and exercise. We believe that real exercise is not just choreography and toned muscles, but the key to a great workout experience is patience, fun, and diversity. We pride ourselves on continuously seeking out new programs that will help improve our clients' wellbeing! Click here for all the details on what to expect and how to start. If you have any questions, don't hesitate to call us at 212-426-7960. Keep up to date with our latest posts and teacher highlights! © 2017 Mind Your Body | All Rights Reserved.